Don’t think anyone’s quite ready to put out an Amber Alert … but the guy seen here, name unknown, went missing in post-bubble action during the Heartland Poker Tour’s recent Red Rock Vegas stop. Anyone recognize him? 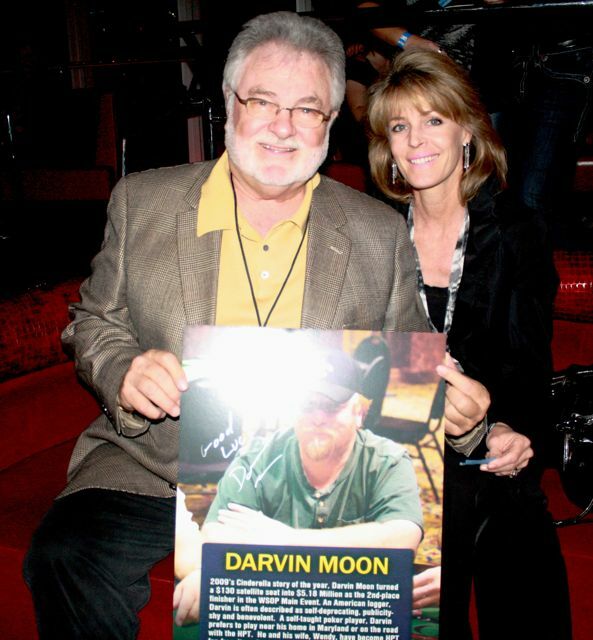 Darvin Moon owes him money. It’s not that Darvin’s trying to welch — in fact I’m pretty sure he’s already handed over chips to HPT executives — but this man won half of Darvin’s action in a charity raffle and apparently skedaddled off before filling out his contact info form. Moon finished in 37th place, for a $1,487 score. 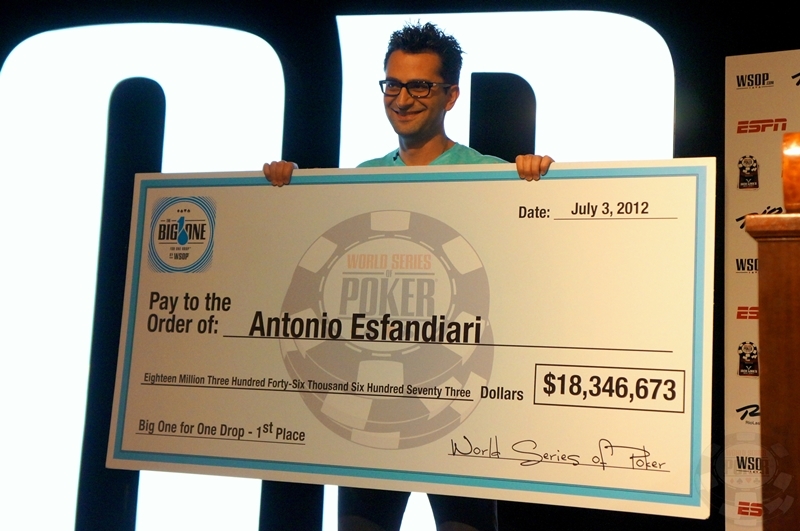 It was an $1,100 event, so not sure if the 50 percent of Darvin’s payday that mystery dude’s got coming is gross or net. Also not sure who gets the extra dollar. But regardless, if anyone recognizes or knows this guy and/or his lady friend … there’s either $194 or $744 somewhere with no name on it waiting for them. BTW, it seems those friendly Fargoans (Fargoers? Fargocites?) might be getting sick of 20-foot snow tsunamis and temperatures in the negative digits. They’re coming back to Vegas in a couple weeks … for a charity event with Minnesota Viking Adrian Peterson and Phil Hellmuth. Raise Your Hand for Africa looks to be a celeb-packed event … and not necessarily your usual poker-playing Hollywooders. Then they’re headed to Reno in May for Jen Harman’s annual SPCA charity event, which is moving from the Venetian to Peppermill — for an event HPT’s production crew will be televising. Watch this interview I just did with Darvin now in early stages of Day 2 $1,000 +$100 at the Foxwoods Mega Stack XVIII where 39/265 players remain fighting for the top prize of just under $62k. We talk Foxwoods tourney room, steak/Seinfeld vs. lobster/rockbands, his latest streak of run bad, and where he’s going to next (Heartland Poker Tour @ Red Rock in January). Other plans may include a trip to West Virginia casinos with yours truly to the casino where he won his WSOP ticket in 2009 -> we are going *fishing*! Sure enough, for the second year in a row, ESPN’s WSOP coverage got an Emmy nomination. Specifically it was for the November Nine coverage in the category “Outstanding Live Event Turnaround”. I think they’re referring to the fine TV production work of Dave Swartz, Matt Maranz, and the 441 Productions crew, moreso than the chipstack turnaround of Cada. 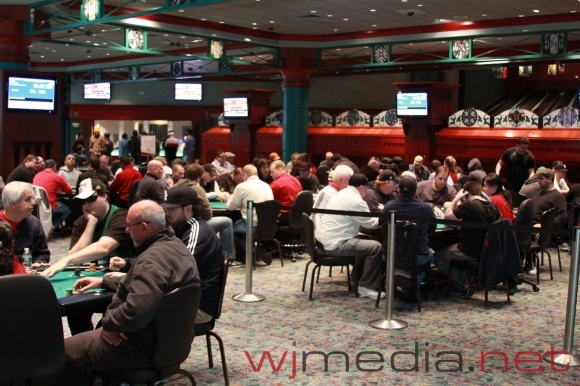 Las Vegas Poker Charity Efforts Thriving Despite Economy? The All In for Cerebral Palsy charity tourney ran last weekend at the Hard Rock … and as any event-planning fundraiser can tell you, it’s been a little unnerving in 2009 wondering if people will actually show up to support your cause. This was a $500 buy-in event (with $200 rebuys, an auction, and silent auction to boot) … and in the end turned out to be an arguably successful second-annual event — raising more than $58k for the One Step Closer Foundation while bettering its inaugural bar of $44k. Some 91 players competed for an $18,500 prize pool — including yours truly, who was in on a freeroll, but couldn’t resist making a tax-deductible, charitable donation to keep playing at a fun table with a PPA friend, Dennis Phillips, a CP-suffering beneficiary, and Ken Davitian (the fat naked guy from Borat) … especially with Davitian and another actor (whom I recognized but couldn’t name) being the weakest players yet having the biggest stacks as the rebuy period was coming to a close.